UNTHA shredders reliably protect your sensitive and confidential data from the prying eyes of third parties. You can be assured that your data will be destroyed in conformance to the most rigorous standards. 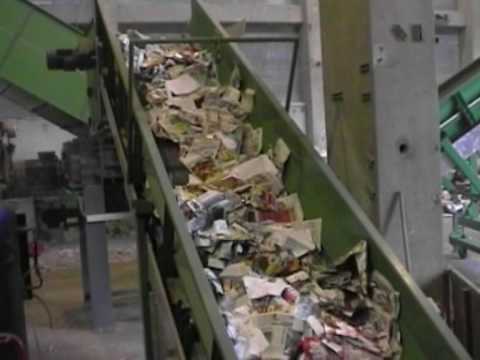 Tons of paper and documents are thrown into the trash every day and most of that can easily be recycled. However, when these documents contain confidential or sensitive information, then secure document destruction is critical. In fact, certain industries (financial, legal, medical) require secure shredding, and there are stringent government regulations that can come into play. If your firm requires shredding of sensitive materials, then you need a company that has not only the right technology, but also understands the high security process required from start to finish. UNTHA’s industrial document shredders offer a rugged, long lasting approach to document destruction. These versatile RS four-shaft shredders operate with low speed and high torque. This means less noise, less vibration, and less dust, which makes the machines more durable and operator friendly. It also greatly reduces danger of fire due to dust. The shredder’s low speed and shut down function prevents damages caused by foreign objects. Special designed cutting systems maximizes the shredder’s throughput and maintenance intervals. A heavy-duty screen controls the particle size, allowing you to meet various security levels by simply changing the screen. UNTHA’s compact design also provides a smaller footprint when compared to other makes. With multiple RS shredder models available, UNTHA has an industrial document shredder to meet all your needs. The secure destruction of sensitive data requires reliable shredding machines. Many customers from the document destruction industry already trust in the high reliability and very low maintenance of our four-shaft shredders. 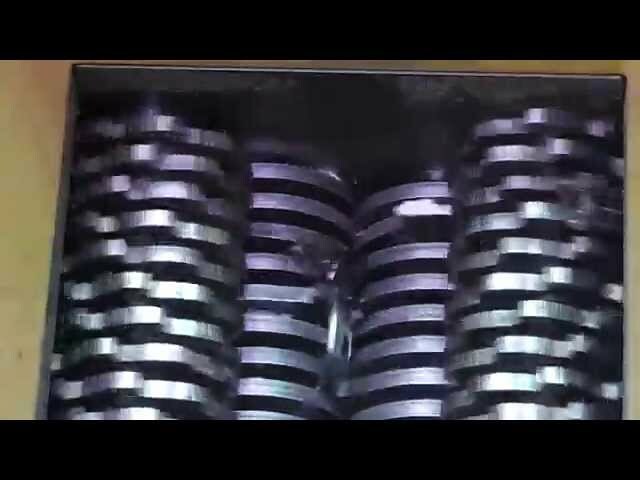 We offer individual shredding solutions for optical storage media such as CDs, DVDs, MiniDiscs, Blue-ray disks etc. Our 4-shaft shredders are a proven solution for economical and secure bank note destruction. The single-stage shredders machines are designed to be especially compact and require very little space. Many well known customers and national banks already trust UNTHA shredders. Regardless of whether you have loose paper or filled file folders. We provide an individual solution for every application and capacity. Small metal pieces or other foreign objects are no problem for our shredders. Misprinted sheets or edge strips take up a lot of space in waste containers. By shredding them you save on disposal costs. We can customize a system that fits your needs. Security paper is used for producing, passports and securities, and in many other applications. Security paper requires complete destruction to prevent the misuse of production waste or misprints. 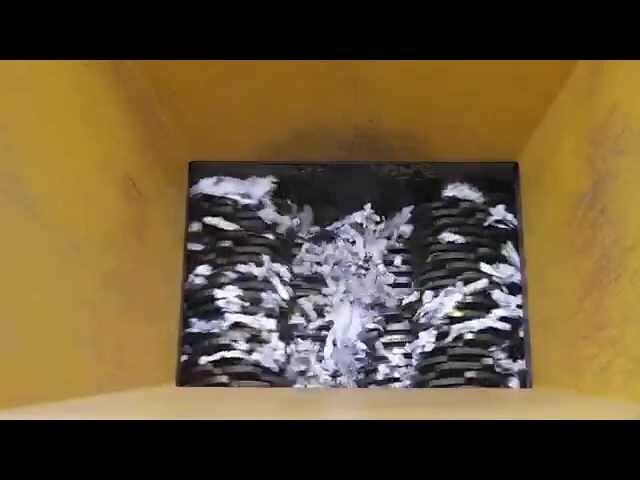 Our shredding machines destroy security paper quickly and reliably. UNTHA shredding technology America, Inc.